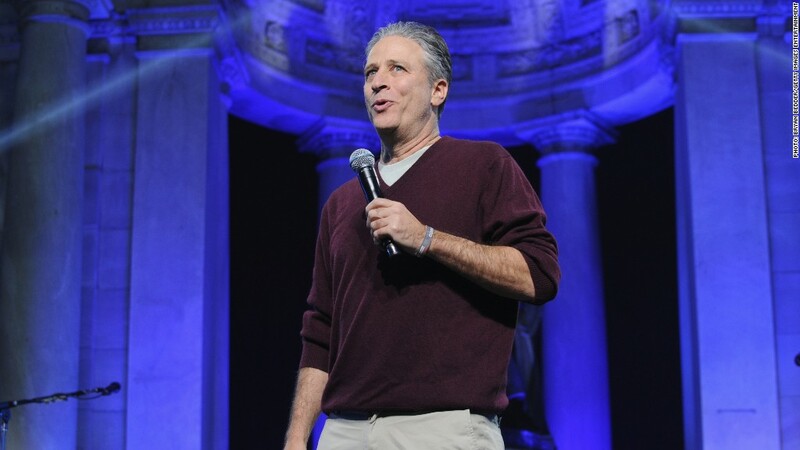 Jon Stewart hosting "Meet the Press" instead of "The Daily Show?" It may sound like a punchline, but NBC News actually thought about it. When the network's news division president, Deborah Turness, was searching for alternatives to "Meet the Press" moderator David Gregory, she put out feelers to Stewart, a person with direct knowledge of the network's deliberations said Wednesday. A spokeswoman for NBC News declined to comment. Poaching Stewart -- from Comedy Central, of all places -- would have been part of a radical remaking of "Meet the Press." But Stewart wasn't keen to be a part of it, and NBC ultimately stuck with tradition instead, promoting White House correspondent Chuck Todd to helm the program over the summer. Todd began moderating "Meet the Press" one month ago. Over the weekend, the network introduced a remodeled studio, further separating Todd from the Gregory era. Gabriel Sherman of New York magazine first reported NBC's outreach to Stewart on Wednesday, citing three anonymous sources. "Though not a traditional journalist, Stewart can be a devastatingly effective interrogator," Sherman wrote. Reactions to the idea on Wednesday ranged from why-didn't-I-think-of-that? to horror at the prospect of a comedian taking over one of the most serious, respected political programs on television. The revelation also underscored just how seriously Turness thought about blowing up "Meet the Press," which has fallen from first to third place in the Sunday morning political show ratings. Todd responded to it in the best possible way: with a Twitter message on Wednesday afternoon that winked at the New York magazine and mentioned a feature of Stewart's show, the "moment of zen." "If it's Sunday," Todd wrote, "it's your moment of zen."